A couple of weeks ago I was contacted by William Morrow, an imprint of HarperCollins Publishers. They said that my passion for running, travel and food that I share on my blog aligned with a book that would soon be coming to print and asked if I wanted to give it a read. I am never one to turn down a good book, so obviously jumped on the opportunity. 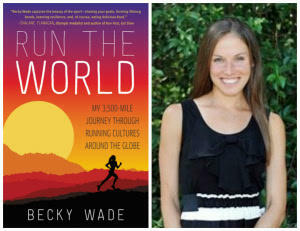 Last week, a pre-released copy of Run The World by Becky Wade arrived in my mailbox. The synopsis had me wanting to jump in right away. After her successful collegiate running career, Becky Wade was eager to broaden her perspective on the sport. She packed up her shoes and embarked on a yearlong solo journey around the world, meeting coaches and runners and experimenting with diverse training styles. Whether riding around London with Usain Bolt, hiking for an hour at daybreak to run on Ethiopia’s Mount Entoto, or getting lost navigating the bustling streets of Tokyo, Wade’s unexpected adventures capture the heartbeat of distance running around the world. 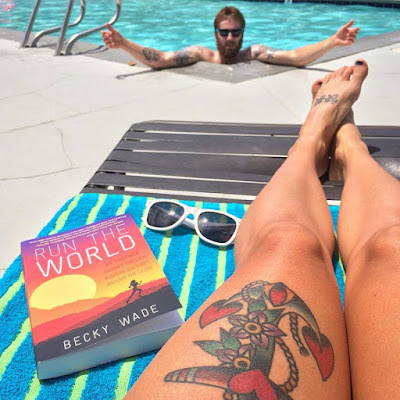 I love that Becky included pictures throughout the book from her travels (don't get me wrong, I love using my imagination when it comes to fiction, but with this reading more like a travel diary I loved having the accompanying imagery to go with the stories). 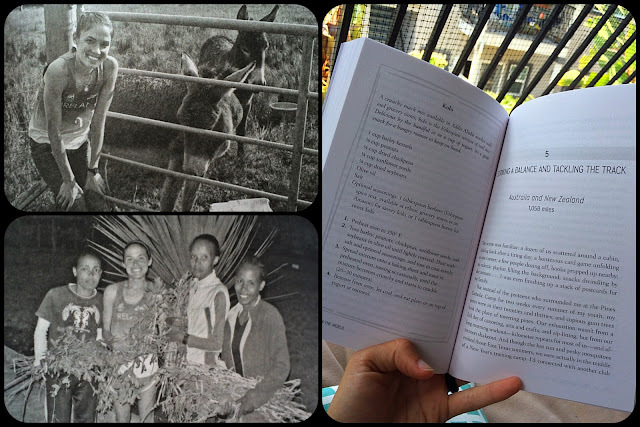 Also, one of my favorite parts was the fact that she added recipes she acquired throughout her year abroad at the end of every chapter (I'm actually even hoping that she publishes more of the recipes she gathered, especially seeing as many of the running cultures she was immersed in were vegetarian friendly!). This July, Becky will compete in the U.S. Olympic Trials in either the 10,000 meters or 3,000-meter steeplechase. 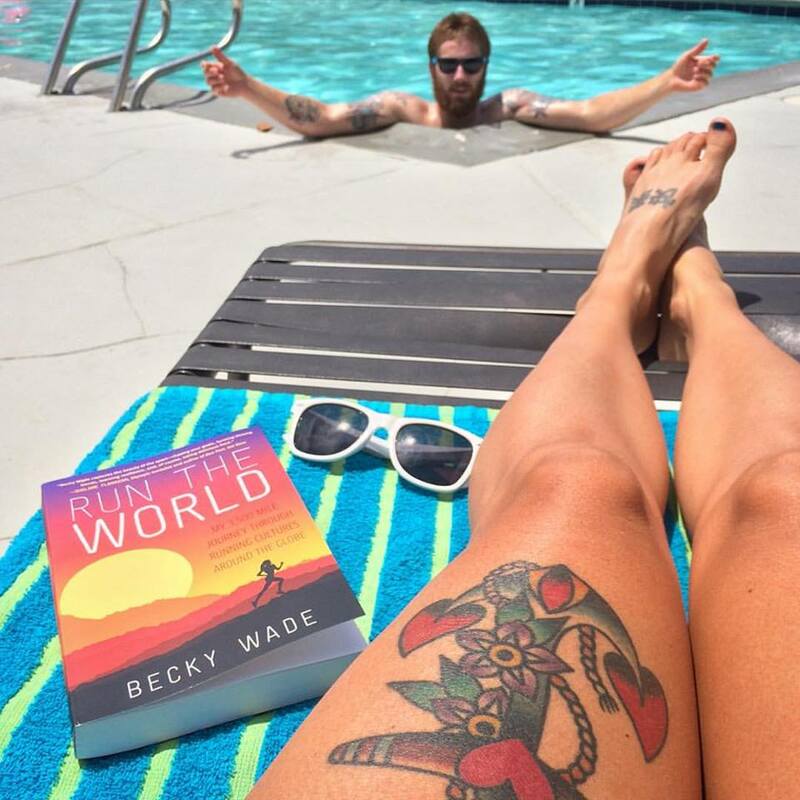 Her travel narrative is a source of inspiration for runners and travelers alike and is the perfect primer for the Summer Olympics this August! You can pre-order your copy of Run The World, which will be available on July 5th, HERE. If you could run with anyone in the world (living or deceased), who would you run with and why? That sounds like an awesome book. Running and travel! Thank you for this! I will be checking it out and adding it to the book club that I host on my blog! Love that shirt! Where did you get it?